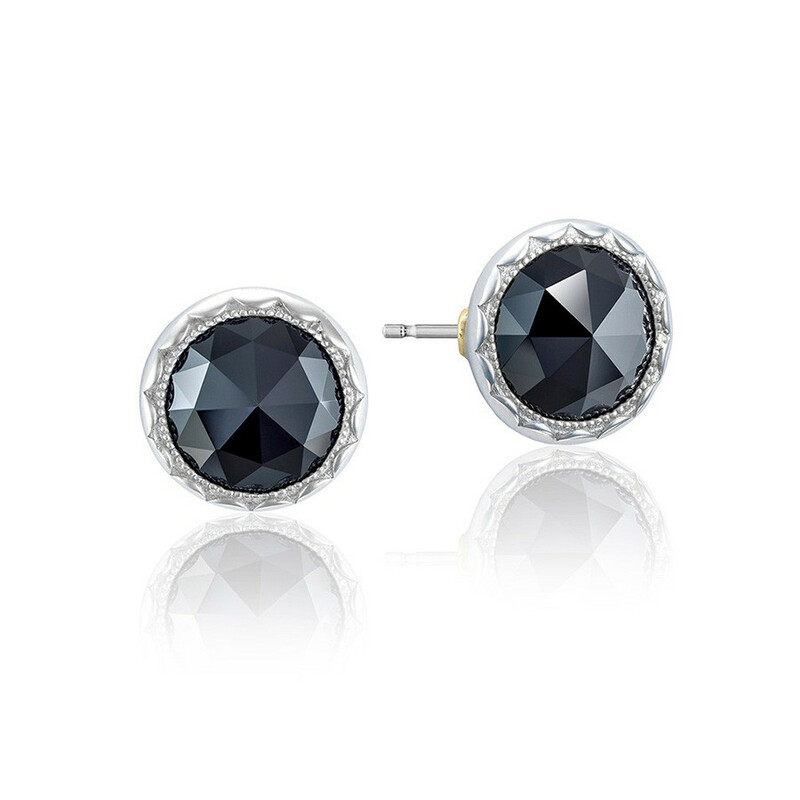 These black onyx studs are from Tacori's Classic Rock collection. Crafted in sterling silver, the round, faceted, bezel-set gemstone in each is surrounded by the brand's signature crescent design. The earrings are accented with an 18K yellow gold gem seal. These Tacori stud earrings are an anything-but-boring fashion staple that you can, and will want to, wear every day!